The bones of the supposed ancient giant Teutobochus were discovered in France, prompting a major controversy over the nature of fossils, the existence of giants, and whether the bones of elephants could be mistaken for human. Jean Riolan the Younger determined the bones to be those of an elephant left behind by Hannibal (!) while Nicolas Habicot argued that they belonged to a member of a lost race of giants, on the authority of the Bible. The question remained unsettled until Henri de Blainville (1777-1850) analyzed the bones and determined that they belonged to a mastodon. It was only the 1980s that restudy by Léonard Ginsburg determined that the actual animal was a deinotherium, another species of extinct elephant. 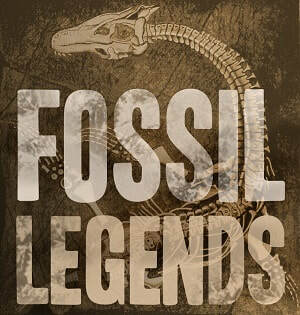 The episode remains an important one in the study of the contribution of paleomegafauna fossils to the legend of giants. M. de Blainville, in setting before the members of the Academy some fossil bones which, toward the beginning of the 17th century, were fraudulently presented as those of King Teutobocus, defeated by Marius, went into some details, which, thanks to his kindness, we can reproduce almost literally. On Friday, January 11 1613, workers taking sand from a sandpit situated next to an outbuilding of the château de Chaumont, belonging to the marquis de Langon, four leagues from Romans, between the small towns of Montricourt, Serres, and Saint-Antoine in the lower Dauphiné, discovered, at a depth of 17 or 18 feet, a certain number of bones of large size, of which a part were broken either by the workers or by exposure to the air. This much seems certain; but the same is not the case with the tomb in which these bones were found, so it is said, along with silver medals and an inscription on stone bearing the words Theutobochus rex. This occurrence in itself would have passed unnoticed, no doubt, if a certain Mazuyier, a surgeon from Beaurepaire, and a notary from the same small town named David Bertrand or Chenevier, had not conceived the idea of turning the discovery to their advantage, probably by exhibiting the bones for money. Correspondingly, they are strongly suspected of having forged the details in a brochure (the first published on the subject) entitled True account of the life, death, and of the bones of the giant Teutobocus, which bears the name of a Jesuit from Tournon, and which Mazuyier distributed in Paris. However that may be, lively public interest was excited, and word spread not only as far as Montpellier, but even as far as Paris, so that six months later the Court ordered these bones to be transported to the capital, as can be seen on the receipt given on July 20th of the same year by the royal curator of medals and antiquities, Antoine Rascatis de Bagaris, as having received from the hands of MM. Pierre Mazuyier, surgeon, and David Bertrand or Chenevier, notary, the requested bones, which they had commited themselves to return to the marquis de Langon 18 months later, unless the King should order otherwise. It seems, nonetheless, that the recipients believed M. de Langon to still possess several others, for, in the letter of thanks sent from the King’s office, dated August 1, 1613, there is a request for the rest of the bones found at the same time as the inscribed stone, and even the stones of the tomb in order to reconstruct it, or at least a sketch with a scale, along with the medals and the deposition on the subject of the discovery. All this proves that by this time, that is, just six months after the discovery, people already doubted that these bones had coexisted with medals of Marius and an inscription in a brick tomb thirty feet long by twelve wide. Henceforth, the question was a subject of controversy, but it was immediately absorbed by the much more serious controversy of the time between the doctors and the surgeons. The debaters forgot the essentials of the question, that is the reality of the tomb and the inscription, and to begin with concerned themselves with whether or not giants could exist. Habicot, a famous surgeon at the University of Paris, no doubt with the aim of supporting his colleague Mazuyier, engaged battle with his Gigantosteology or a Discourse on the possibility of giants, dedicated to Louis XIII; to which the doctor Riolan, anonymously, giving himself the title of a student of medicine, responded in 1613 with a brochure titled Gigantomachy, and in 1614, with his Unveiling of the fraud of the human bones supposed those of a giant. A partisan of Habicot, or Habicot himself, responded to what he called the slanderous inventions of the Gigantomachy, in an anonymous publication which he titled Monomachy. Guillemeau, also a surgeon, likewise made common cause with Habicot, whom he otherwise did not like, in his Discourse in defense of giants, published in 1615; however, even though maintaining the possibility of the existence of giants, he used other arguments, submitting that both of the adversaries were above questions of this sort. Riolan, during this time, had prepared his weapons, and attacked his adversary in a more skillful and much stronger manner in his Gigantology or Discourse on giants, published in 1618. It is in this work, after having established that proper giants more than 9 or 10 feet tall have never existed, he shows that the bones found at Chaumont could only have belonged to a whale or an elephant, or else that they were fossil, a term which he used to mean that they had formed in the earth. After this, Habicot, for his defense, had recourse to the author of the discovery. Some letters he published in his Anti-Gigantology show that beginning in 1614 he had asked Mazuyier, by then returned to Beaurepaire, for the certificates of the discovery, and received the response that Mazuyier intended to send them as soon as the marquis de Langon returned from Romans where he had gone. Nonetheless, the certificates were not sent, or not until later, for M. de Langon replied that his wish to execute the King’s desire by sending him the remaining bones with the silver money found with it, made him put off satisfying Habicot; to which he added that the surgeon’s adversaries were wrong to dispute that they were human bones, because the doctors of Montpellier and Grenoble had admitted it after having examined them, either at his home or in Grenoble, where he had taken them at the wish of M. de Lesdiguieres. Nonetheless, despite all these promises, in a letter of June 9, 1618, Mazuyier deferred their execution yet again, on the grounds that the King was said to be intending to visit Dauphiné, and therefore M. de Langon had decided to put off taking the bones and the certificates to Paris. All this proves that the deposition of the discovery published later, even though it was signed by Guillaume Asselin, sieur de La Gardette, castellan, and by his clerk Juvenet, had not yet been created in 1618, that is to say five years after the discovery. Therefore, Habicot, in his response to Riolan’s Gigantology, under the title of Anti-Gigantology or a Counter-discourse on the size of giants, could not make use of judicial documents and was obliged to return to his first tools, which were long, very detailed, and truly question-begging reasonings. In effect, in order to demonstrate that this was not a thirty-foot-tall giant, as his adversary maintained, Riolan had determined from the length of the bones he had examined, among others the femur (which was a most rational means of proceeding), that the animal could not have been more than twelve feet long; and he concluded that, since a thirty-foot tomb would not be needed for a body of 12 or 13 feet, the supposed tomb was Mazuyier’s invention; but Habicot, in contrast, accepted its existence as a fact, and stated that the contents must be proportional to the container; now, since the tomb was thirty feet long, the bones it contained must have belonged to a giant of that size. We must conclude that Habicot, in spite of all his efforts, was not up to combatting Riolan, especially under those circumstances, and that he was far from coming out ahead in the debate, which, in any event, was marked on both sides by all the acrimony of the struggle of the corporations of the doctors and the surgeons. However that may be, it was considered (at least in Paris) nearly certainly demonstrated that the bones had never belonged to a human giant, but rather to a large animal, and that fraudulent intentions had led Mazuyier and his associate to claim that they had been found in a brick tomb with medals of Marius and the inscription Theutobochus rex. It was in vain that Mazuyier produced a sort of deposition signed by himself, by the castellan Guillaume Asselin, sieur de La Gardette, and by his clerk; marks of fraud were found in the deposition itself, inasmuch as it speaks of a piece of a head 5 feet long and 10 feet around, with eye sockets half the size of a dinner plate, and a clavicle 4 feet long, items that were not mentioned in the receipt given in Paris. The scientific discussion ceased soon afterwards. After this, Mazuyier was no doubt obliged to leave Paris and to take his industry to other towns; I nonetheless know of no direct proofs of this fact reported by M. Cuvier. What is much more likely is that he returned the bones to M. de Langon at the end of 18 months, as he had agreed. In effect, we find the author of a letter written to the abbé Desfontaines, December 22, 1744 (which Desfontaines published) stating that he saw these enormous bones. He mentions among other things a perfect half of a leg bone, and says that the part that joined it to the knee was as large as the head of a man. He adds that, if the editor had any remaining doubts, he could contact the bishop of Grenoble, because M. de Langon had had a part of the bones taken to Grenoble, including an entire tooth and its three roots. Finally, in another letter by the same correspondant, dated January 19, 1745, he ends with the words: "M. le marquis de Langon [grandson of the marquis at the time of the discovery] wishes me to say that when he is in Grenoble he will show the bishop Louis XIII’s original letter and one of Theutobochus’ teeth, to confirm its authenticity." The story of the bones of the supposed giant then breaks off until recent times. To be sure, M. Cuvier, writing about fossil elephants, gave an extract from the famous dispute, and drew evidence from it that the bones had belonged to an elephant; but he spoke of the matter only in passing. It was only two or three years ago that M. Audoin, finding himself in Bordeaux, was alerted by M. Jouannet, a member of that town’s Linnean Society, that fossil bones, regarded as those on which the story of King Teutobocus had been built, were to be found in Bordeaux, where they had long been relegated to an attic. These two naturalists had the happy idea of investigating the likelihood of this idea by comparing the number and condition of the items with the list which M. Cuvier had given (following Riolan) in Recherches sur les ossemens fossiles, and they convinced themselves that the truth was as reported. M. Audoin, on his return to Paris, sensing how important it was that the Natural History Museum should possess these bones, spoke of them to the administration of which he is a member, and it was decided that M. Jouannet should be requested to send them: which he has done, so that they are now part of the Museum’s rich paleontological collection. How did these bones come to be found in Bordeaux? Are they really those that were attributed to King Teutobocus? Finally, to what animal did they belong? As for the first question, it is really the least important of all. The opinion, in Bordeaux, is that the bones, having been brought by Mazuyier to be shown to the public, were abandoned there when he failed to pay for his lodgings, or for debts of some other nature. It is also added that the small catastrophe that struck the unfortunate surgeon happened only because the public was distracted from this exhibit by the much greater appeal of Molière and his troupe of comedians. No doubt, it is not impossible for this anecdote to be true. However, for the two parts of it to correspond, we would need to find, in the first place, that Molière spent some time in Bordeaux, and above all we would need to suppose that Mazuyier brought the bones to Bordeaux some thirty years after their discovery, since the biography of Molière indicates that it was not until about 1650 that he became an actor and associated himself with several young people who later composed his troupe. In any case, we have shown that the bones of the supposed King Teutobocus were still in Grenoble or at Langon in 1744, in the hands of the marquis; therefore, it seems most probable that it was after that time that they were taken to Bordeaux, by someone other than Mazuyier. Fragments of the pelvis, among which are the upper part of the ilium and the pubic branch of the ischium, with part of a femur. From which we see that, although there are some fewer pieces among this collection than those named on the receipt, such as the calcaneum, the astragalus, and one vertebra, and on the other hand a few additional items, which might be due to them having been poorly described, it is nonetheless nearly certain that these are indeed the remains attributed to King Teutobocus, for it would be difficult to believe that a second stroke of luck had brought to light six or seven items exactly the same as the first. As for the third and last question, the structure of the teeth, forming a crown bristling with several ranks of mamellate tubercles, and supported by true roots, can leave no doubt as to the type of mammal to which these bones belonged: it was a mastodon, and not an elephant as M. Cuvier wrongly thought, having, it is true, nothing on which to base his judgement but a rough idea of the size and weight of the principal tooth. Nonetheless, the carefully reported fact of the existence of the roots might have put him on the right track, and we can understand how Habicot and his partisans could have been led to support Mazuyier’s fraud, having noticed that those teeth with their roots and their tubercles on the crown really had some resemblance to human teeth, especially for anatomists who, at that time, had no material to compare it with. Thus, in 1613, there were discovered in France, in alluvial deposits, numerous fossil remains of a true mastodon, like that from Ohio in North America; all finds since then have been much less complete, since among European mastodon remains, we can barely cite a few fragments of jaw adhering to the many teeth collected in the south of France. This translation is used under Creative Commons License via Wikisource.